We made a super-soft version of one of our best performers with the High-Waist Alosoft Sheila Legging. Cut from our signature brushed Alosoft performance fabric, it stretches with you to keep up with every kind of yoga practice. Features a forward color-blocked design, a sculpting, ribbed sweetheart waistband seam and flat-locked stitching. 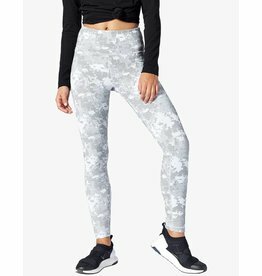 Mid-rise figure forming legging with logo elastic at waistband. A high-rise seamless knit legging with mesh detailing.